From program selection to finishing your kit, we make Block of the Month quilts fun. 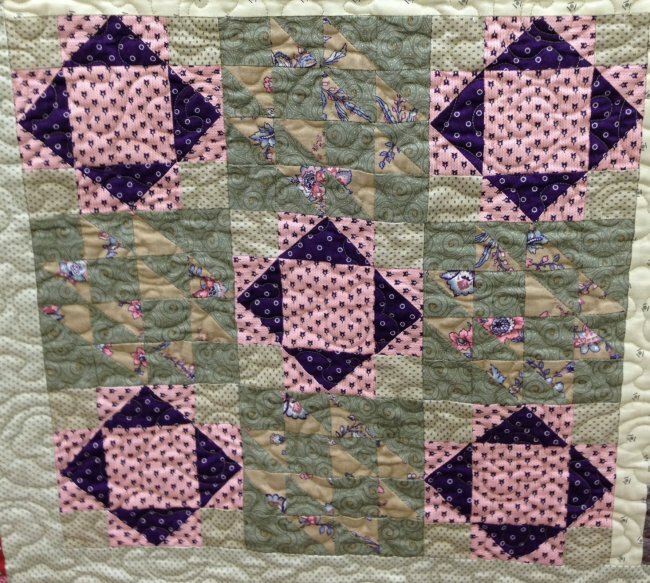 A Block of the Month program is a great way for quilters to make a stunning quilt. Once a month, you will receive the pattern and fabric needed to make a quilt block. At the end of the program, you will receive instructions to put together your blocks, along with any borders or sashing that are a part of the quilt design. A monthly program is a great way to plan your sewing time and budget. Receiving monthly blocks allows you to focus on just a small part of a quilt at a time and, with small monthly payments, you can easily manage your fabric budget. Join one or more of our Block of the Month quilt programs and bring joy and ease back into your quilting time. Please know that each program has its own unique length. Some programs are 6 months and some are longer. Consult the Block of the Month program you wish to enroll in to learn the details of your particular program. Register. Once you choose your program, either add it to your shopping cart, email us at info@sunvalleyfabric.com or call us to enroll. There is a one-time non-refundable registration fee to enroll you in the Block of the Month program and organize your monthly credit card processing and shipping information. Billing. We will process your monthly payment at about the same time each month. This allows you to plan your Block of the Month payments for the duration of the program. Shipping. We will ship your block of the month pattern and fabrics at the same time each month. At the start of each program, we will let you know the expected monthly shipping date for the blocks. Keep in touch. If you have any questions about the pattern or the placement of fabrics, please feel free to call us 208 788 1331. We are always happy to answer questions and provide help. Cancellation. Registration fees and monthly program costs are not refundable. Your commitment to a Block of the Month program allows us to offer the program at a reasonable cost. If you have any questions about the program, please ask before you register to avoid disappointment.